Celebrate the Lunar New Year and enter for a chance to win from Nongshim and WinCo Foods. For the whole month of February, we’ve partnered with WinCo Foods to giveaway $50 WinCo Foods gift cards to eight (8) randomly selected winners. Winners will be chosen on or about March 1, 2018 and will be notified. 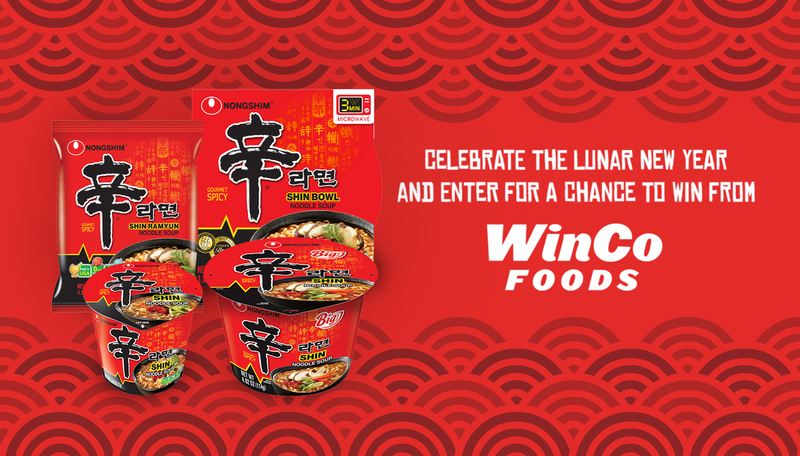 How to Enter: During the entry period, visit http://wincofoods.net/promotions/celebrate-lunar-new-year-with-nongshim/ and follow the instructions to obtain one (1) entry.